WILMINGTON, Del. -- The star prosecution witness in the trial of four Delaware inmates charged with murder, kidnapping and other crimes following a fatal prison riot last year played a key role in the disturbance and likely ordered the killing of a prison guard, a defense attorney claimed during opening statements Monday. Attorney Jason Antoine also warned jurors that they will encounter a lot of inconsistencies during the trial, which could last up to four weeks, and that the prosecution's case is based on "unreliable inmate information." Inmates at the James T. Vaughn Correctional Center, Delaware's maximum-security prison, rioted Feb. 1, 2017, killing prison guard Steven Floyd and taking three other staffers hostage. Two other prison guards were released by inmates after being beaten and tormented. A female counselor was held hostage for almost 20 hours before tactical teams burst through a wall with a backhoe and rescued her. "The attack was vicious, it was tragically effective, and it was planned," prosecutor Nichole Warner told jurors Monday before reciting a chronology of the riot. Warner said Floyd opened a door to the prison yard to call in several inmates taking part in recreation when a group of inmates wearing masks stormed the guards, reports CBS affiliate WDEL. Officers were attacked with mop wringers and shanks. Floyd was immediately overcome by inmates, who stuffed him in a mop closet and repeatedly beat and stabbed him. Floyd would later be heard warning other responding officers that it was "a trap." A Correctional Officers Association of Delaware official said at the time that Floyd's warning to other officers "saved lives." Tactical responders found Floyd handcuffed in his office, face down in about 2 inches of water. Warner said he died of multiple blunt trauma and stab wounds. Antoine, representing Roman Shankaras, rejected Warner's claim that his client was a "mastermind" behind the riot and "a shot-caller." Antoine said Shankaras was expecting only that inmates would stage a peaceful demonstration to protest conditions at the prison; an independent review conducted after the riot found to be understaffed, overcrowded and poorly managed. "He didn't sign up for murder.... All my client wanted was to be treated with dignity, and the proper way a prisoner should be treated," Antoine said. Antoine described Downs, who avoided possible convictions on murder and kidnapping charges by pleading guilty to a single count of riot, as "one of the most dangerous and influential people" in Delaware's prison system. "He has the power to green-light people.... Green-light means take somebody out," Antoine said. "He was the one, probably the one, who ordered the final hit on Floyd, and now he's working for the state." 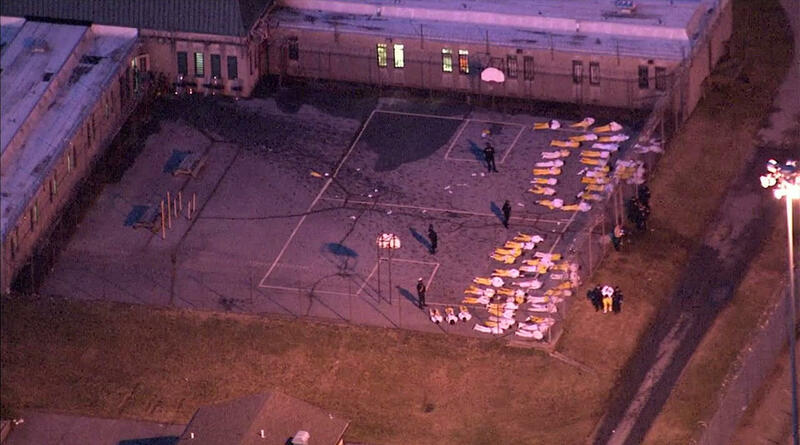 A total of 18 inmates are charged for their alleged roles in the riot, reports WDEL.